Selfie shots via hand are still manageable for 2 – 3 people. But when you want to include a larger group in your photo, it’s best to have a selfie stick for further extension. A selfie stick is also useful for video recording, taking photos of yourself with an extended view or stand-in as a camera holder. 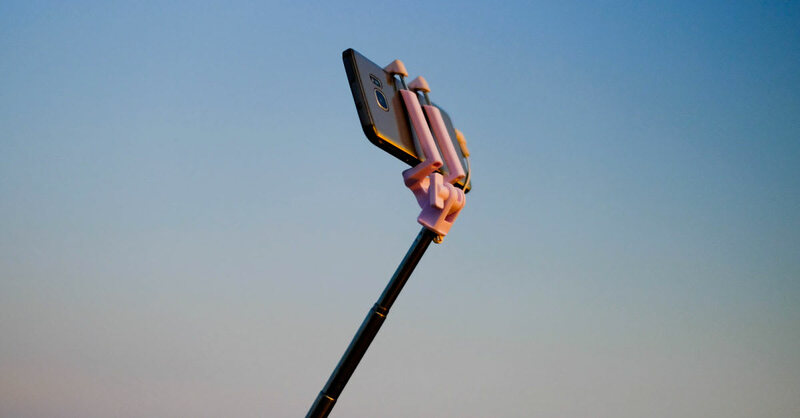 Whether for professional or casual use, check out these selfie sticks to get that perfect shot. Although compatible with all phones, this multifunctional selfie stick works best on IOS phones. With stunning features such as transformable into a tripod stand and controllable via a Bluetooth remote, the selfie stick is also extendable up to 100 centimetres long for wider angle shots. Handheld and ultra-lightweight, the item is suitable for travel. Specially made for an action camera, this Monopod selfie is the perfect choice for outdoor and underwater shooting. The stick is extendable up to 49 centimetres long and is made with high-quality and sturdy stainless steel. Each stick has a wrist strap for convenient and easy handling. An important factor that contributes to a great selfie is good lighting. This selfie stick with an attached LED light gives you an instant glowing effect to your selfies right away. Made of stainless steel, the stick is also very light weighted despite having the extra lighting feature, letting you carry them anywhere comfortably. It is compatible with both Android and IOS phones. This handheld selfie stick is also a stabilizer that comes with gimbal support which works in reducing vibration and helps in producing a clear recording. Plus, it also has an adjustable shooting mode, which allows the selfie stick to change its shooting direction from horizontal to vertical. A perfect choice for outdoor shoots. This selfie stick can hold smartphones, digital cameras, and DSLR cameras too. Made with high-grade aluminum to ensure its sturdiness, it can support up to one kilogram in weight, thus able to hold heavy and bulky cameras. The selfie stick is extendable up to 125 centimeters and comes with Bluetooth remote shutter. This Huawei selfie stick is convertible into a tripod and comes with a Bluetooth shutter remote. Coming with a multiple angle and 360-degree vertical shooting feature, this allows for better recording result. Great for vlogging as it makes shooting and recording videos smoother and easier.